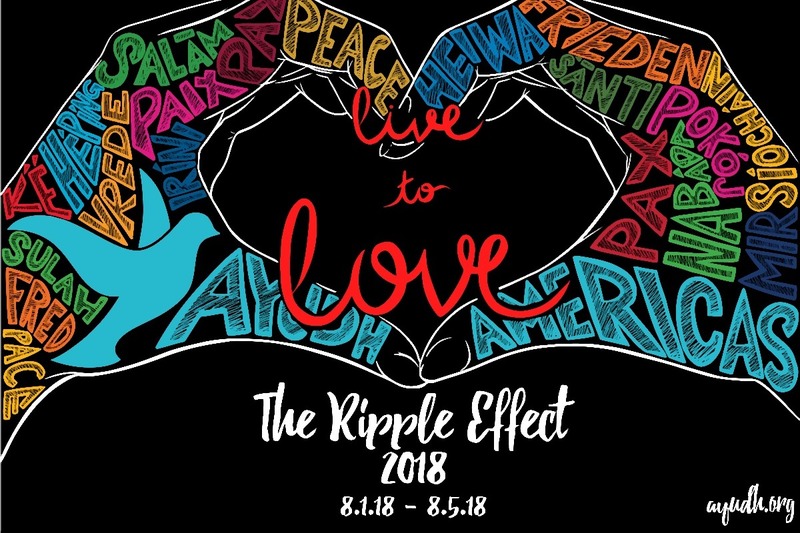 AYUDH Americas is excited to announce its 5th annual youth summit - The Ripple Effect 2018, taking place August 1st-5th at the MA Center Chicago. Join those ages 15-30 from around the world in a five day meet of learning, inspiration, and exchange at AYUDH Americas’s 5th international youth summit – The Ripple Effect. This year, in response to the violence, terrorism and rapid environmental destruction we see around us, AYUDH will be emphasizing the role of love in service, empowerment and global community. AYUDH is unique in its focus because we do not only work to support our communities through service or empowerment of young people, we do this with the mission of love, compassion and belief in the ultimate goodness of the world as espoused by Amma. At The Ripple Effect, we offer a platform for 200 youth from 10+ countries come together in a high-level discussion on the most pressing issues of today. These discussions result in practical action– initiatives that will be carried out by our 20+ chapters across South and North America. Transportation & Accommodation will be provided for all five days of the summit. Once you register you will receive a confirmation email which will explain the logistics of attending. Please be aware that shuttle services will be provided between Chicago ORD and MDW Airports. During the Annual youth summit, the youth plan and conceptualize initiatives/projects to be carried out during the following year. Click here to check out AYUDH Americas' initiatives and service projects and what they have achieved. Support AYUDH Americas' service projects/initiatives, designed and executed completely by the youth, mainly comprising of students, and the youth summit through the GoFundMe Campaign at www.gofundme.com/ayudh2018.